Any one working in our business knows its hallmark is collaboration. Yeah, we hear about the Director as Auteur and the Client as King. But nothing happens without a bunch of people working together. One-man-bands only work on street corners. So here's a new approach to an old concept. Maybe brilliant. Maybe unworkable. But like any new idea, it's worth a closer look. And if what you see is any example of what may be, then it could be a definer for how we creatives will come together to play in the web sandbox in the next decade. 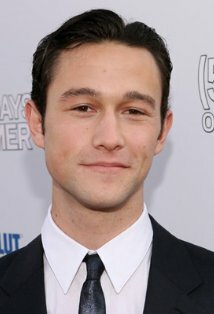 Joe Gordon-Levitt is the proud creator of HitREcord.org which is a site for many people to work on a project as each contributes and/or reforms the work. It could be as simple as a remix or as complicated as a grand production with Joe as the Director/Prime Mover. Joe's concept explainer video is here. 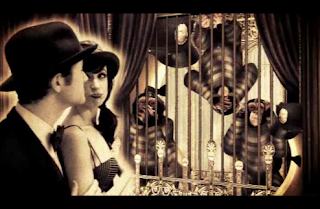 And a fantastical collaboration video, inspired perhaps by his great work in the (500) Days of Summer can be seen in the fanciful Morgan and Destiny's Eleventeenth Date - The Zeppelin Zoo. Check out the language. That in itself is worth the price of admission.